1.Best Halloween gift, It's cute and funny, kids love it. 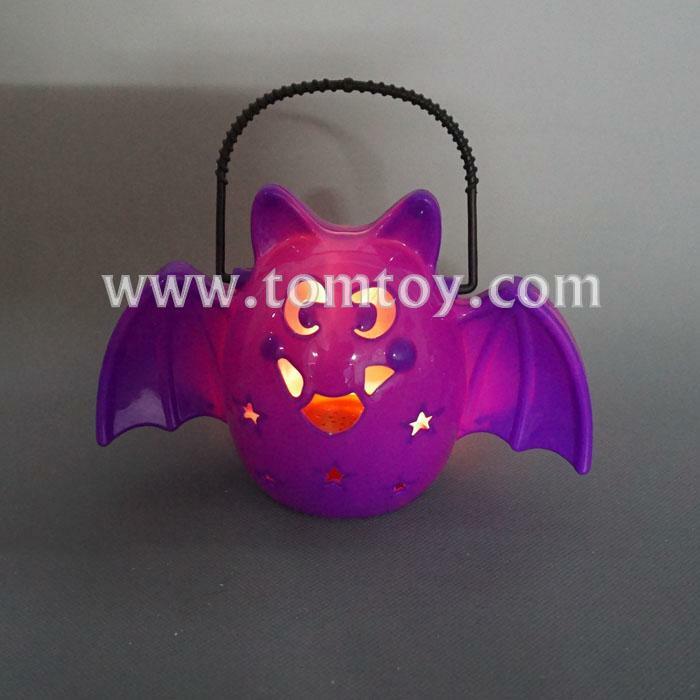 2.Halloween lantern, Bat LED night light, multicolor light flashing and cackle with ghostly delight . 3.Portable and light weight, With portable hook, powered by 3 Button Cell batteries(included). Activities with portable handle, it can hang, can carry, can be placed. 4.Environmentally friendly, Safe and Reliable, suitable for children. 5.Great decoration for Halloween, Christmas, April Fool's Day, gardens, rooms, bedroom, party, games, bars, KTV, banquets, stores, funny dance, performances, masquerade, and other celebration occasions, both indoor and outdoor use.